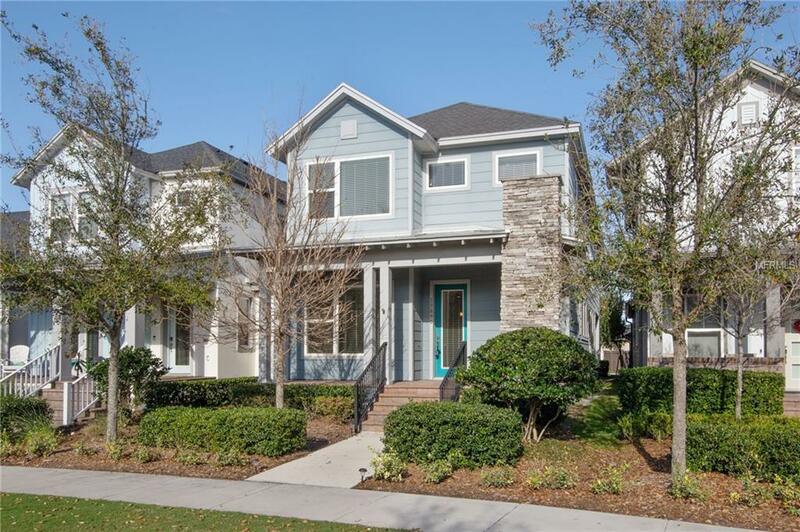 GORGEOUS LAKE NONA HOME ON MEW NEAR MEDICAL CITY! Come home to this beautiful gem w/wood floors & split floor plan w/OFFICE, LOFT, & TANDEM 3 CAR GARAGE! 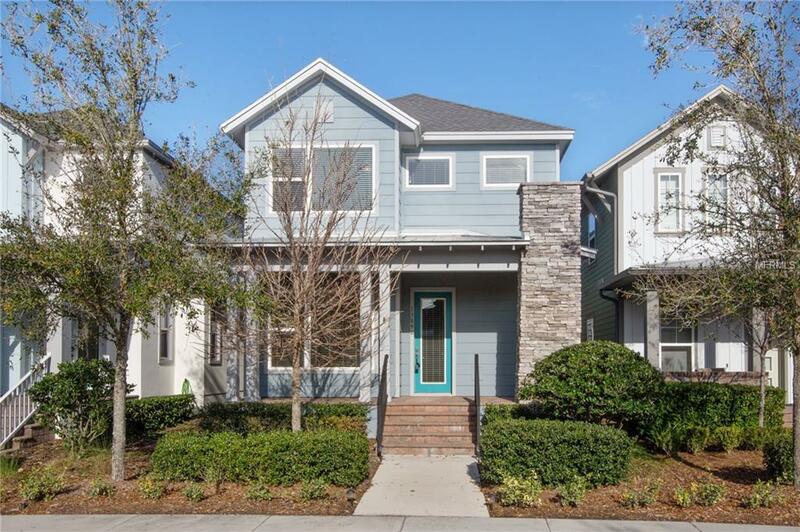 The central located kitchen is highlighted 42 White Cabinets w/crown molding, stainless steel appliances, spacious island, silestone counters w/bacteriostatic product protection. Vaulted ceilings enriched w/natural lighting provide incredible living experience. The master bedroom features large walk in closet, dual sinks w/quartz counters, & soaking tub. Recessed lighting, wood spindle stairway, built in desk, French doors, mud space w/coat rack & bench, mosaic backsplash, blinds, pendant lights, & designer light fixtures provide the touches of elegance. Enjoy outdoor Florida living on the back covered lanai or on the front porch overlooking the mew (park). Have a peace of mind knowing this home is comes w/hybrid GE water heater, integrated wall pest tub system, laundry room w/high efficiency washer & dryer & folding table plus zoned for GREAT SCHOOLS! 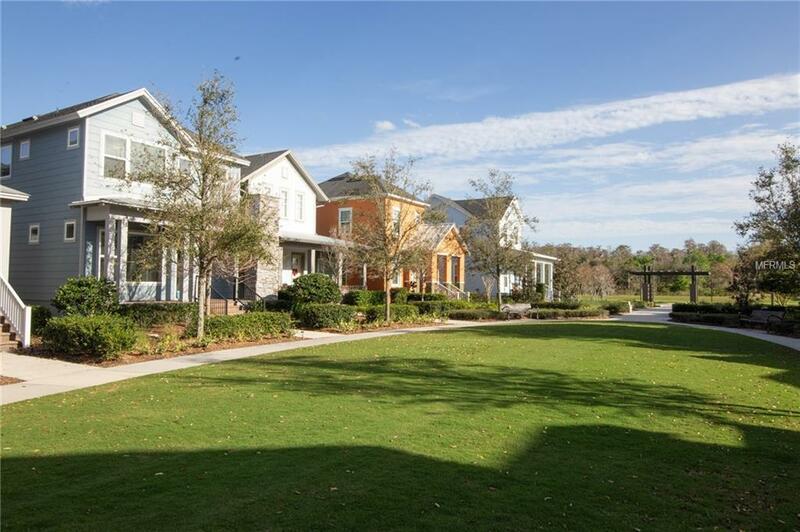 This community is loaded w/amenities to include fitness center, resort style aquatic center w/2 pools, sand volleyball pit, dog park, community garden, multiple parks & playground, Lakehouse Event Venue, & over 40 miles of walking, biking, & jogging trails. The HOA also includes high speed internet & cable w/HBO package. 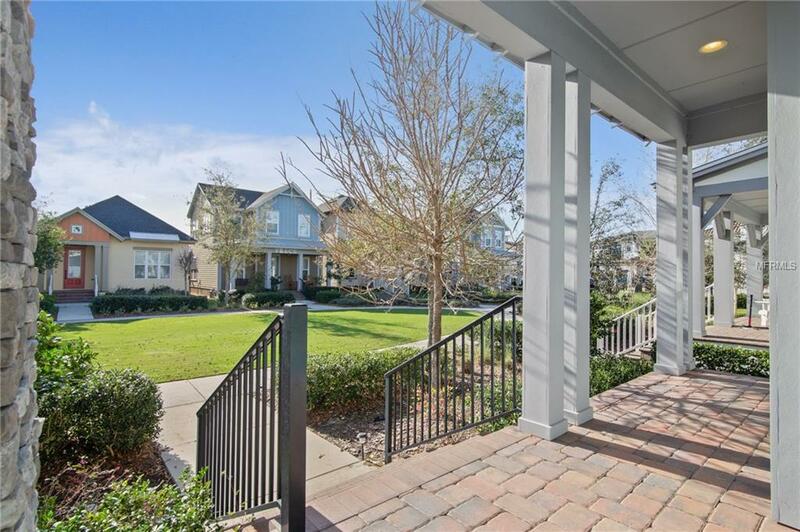 This community is conveniently located near Nemours Childrens Hospital, VA Hospital, USTA, KPMG Training Center, Amazon fulfillment center, & Orlando International Airport.